“Have you ridden Mt. Lemmon?” If you’re a cyclist in Tucson, you will be asked. 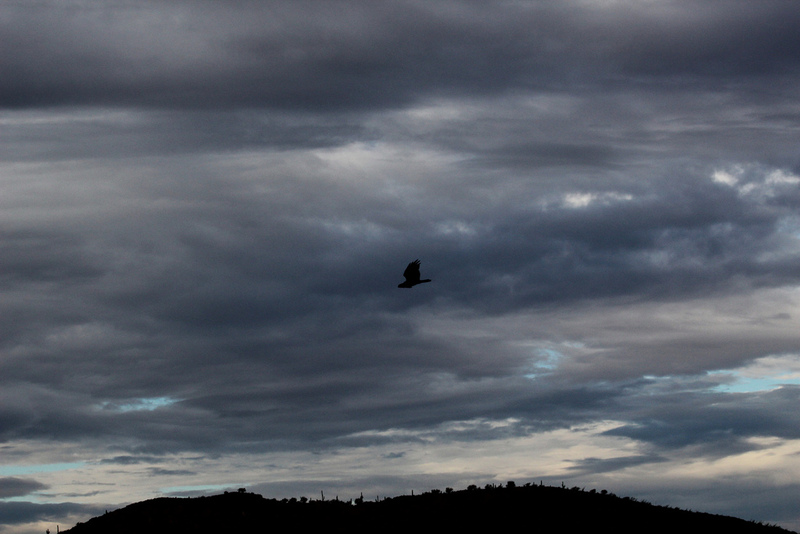 I had always answered with a resounding “No.” The challenge of going up intrigued me. Coming down, not so much. I was a skittish biker. A Cautious Carla. A white-knuckled brake squeezer. A girl who got so frustrated with herself that the phrase “poopy puppy” would spring to mind during rides. But even puppies mature, and after about two years of riding, I decided it was time to squeeze the Lemmon. 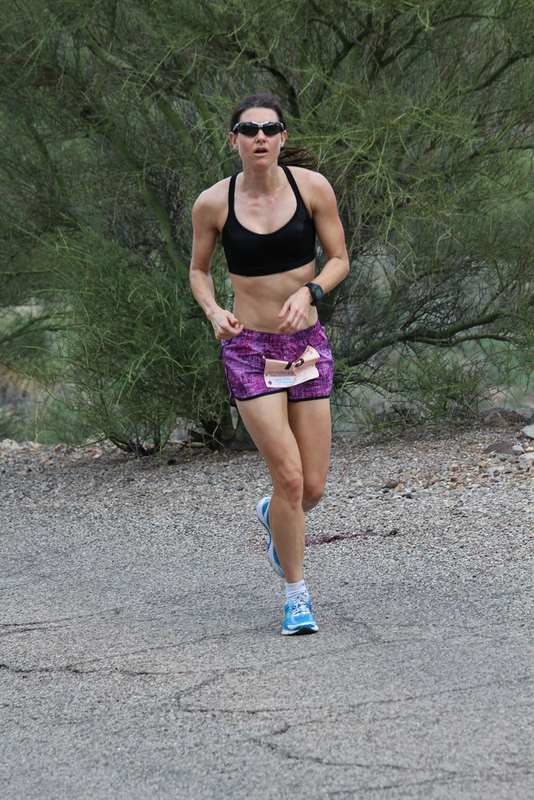 The Tucson Tri Girls have a yearly summer tradition of going a little further up the mountain every week until the whole (or half) climb is conquered. My cyclist friend Rafael was also game to join me, so I decided it was as good a time to try as any. I had missed the first few rides, and the goal for that weekend was Milepost 17. I met Rafael at a school parking lot and we rode to Milepost 0. We checked in and got smiley stickers for our helmets (people who collected a sticker from each ride would get a special memento at the end of the series). There are certainly steeper climbs around town, but Mt. 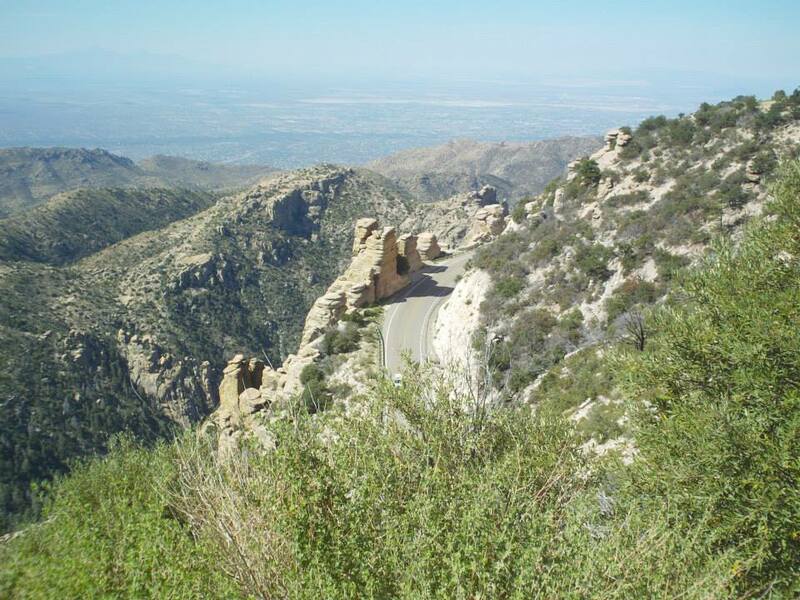 Lemmon provides a long, mostly steady incline with a few downhills. There are also a few sharper climbs mixed in. I started at a moderate, even effort and quickly shifted down to my granny gear. To my surprise, we passed a quite a few people on our way up. Rafael (who was riding a fixed-gear bike!) had to turn around early to go to work, so I continued on my own. 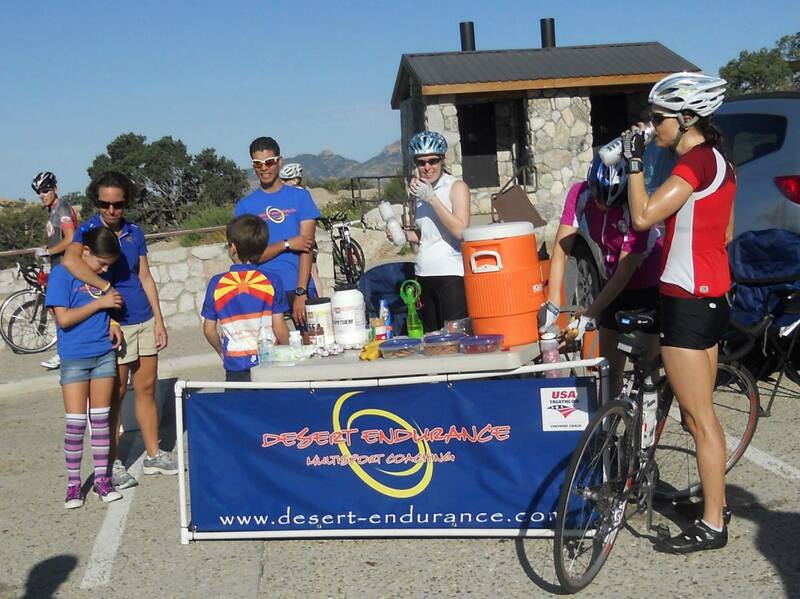 Locally-headquartered Tri Sports was parked halfway up, and they provided hydration and snacks. I topped off my water bottle and grabbed some Gu Chomps and a sample-sized European Chamois Butter (European = menthol in this case) packet. I ended up eating my own Honey Stinger waffle and decided to save everything else for another time. After chatting with some folks, it was time to climb again. I was now in pine country, and their sharp, clean scent hung in the air. For the most part, all you could see was the road ahead, but there were some spots with amazing views of the city below. It’s a tremendous feeling to look down and see how far you’ve climbed. There was a sign saying that the camp ground was a mile away, but somehow I missed the turnoff. 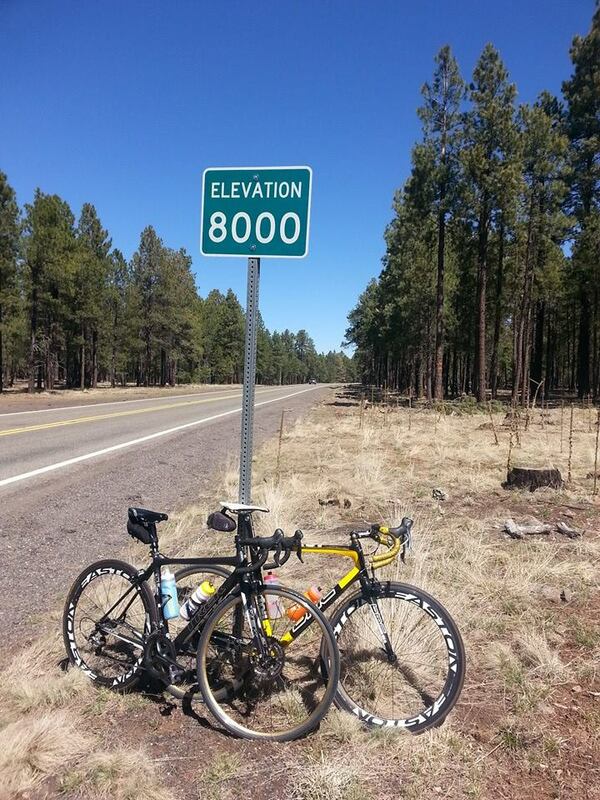 I decided to keep riding and make it an even 20 miles up, and luckily I found it on the way back. 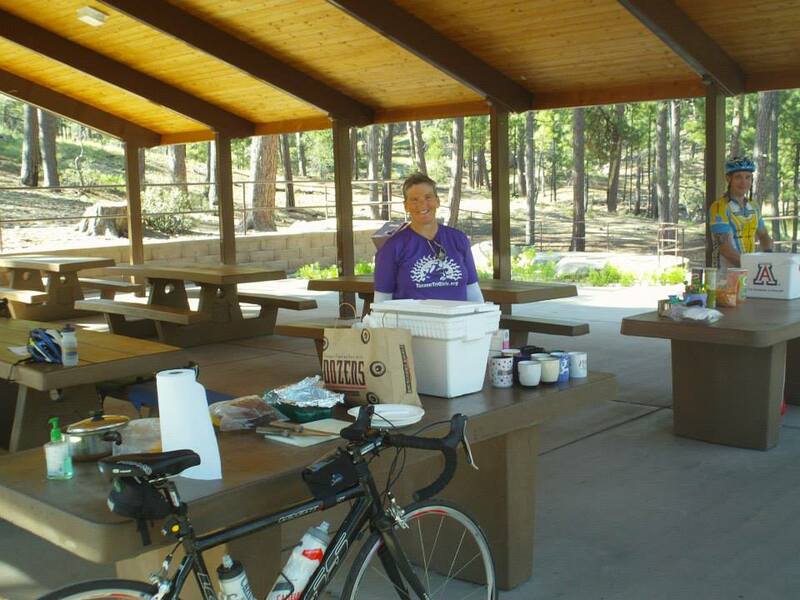 The Tri Girls had provided bagels, Z Bars, fruit, cookies, coffee, and more. I took my refueling very seriously because I didn’t want them to have to lug too much food back down the mountain. I was pretty sweaty and it was cool enough up there that I started to feel a little chilly. The way down was surprisingly enjoyable. There were some times when I rode the brakes, but I always felt in control. Some riders really push it going down, and they whizzed by me. Coasting was fine with me. I also stopped more than once to take some pictures. 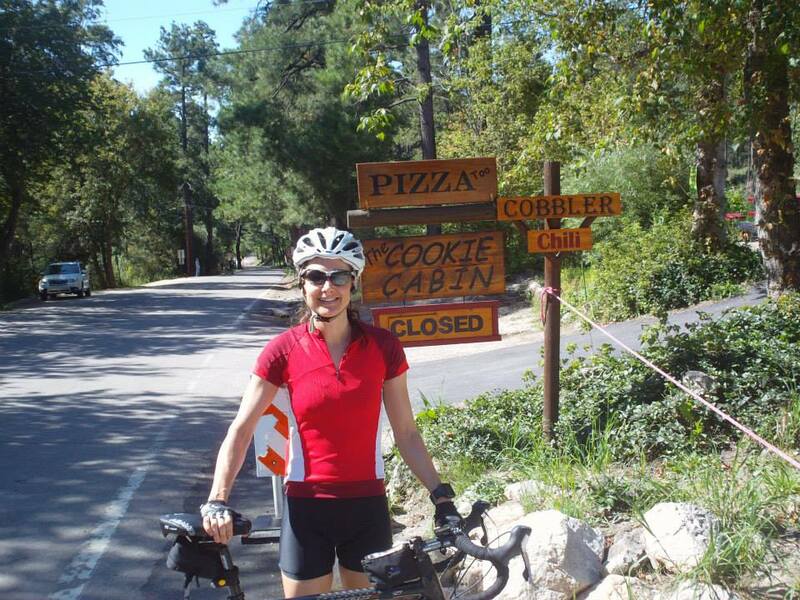 Two weeks later, it was time for the Full Lemmon: Cookie Cabin (Milepost 25) or bust! Rafael joined me again, along with some of his other friends. I met a guy named Bill and mentioned that I was more of a triathlete than a cyclist. He asked if I knew one of the other triathletes in the group, but said that maybe I wouldn’t because she was in her thirties. I told him that I was as well, and he said that he had thought I was twenty-something (he was well into his fifties). I asked if it was because I was wearing sunglasses. He said it was the legs. Anyhow, it’s always nice when people think you look younger than you are. Thank you exercise. The SAG stop was at Windy Point this week. It was a really hot day, and I probably guzzled a quart of water in under a minute. It’s amazing how quickly I can drink after a good sweat session Then I grabbed a banana and smeared peanut butter on it. I hung around for a while, drank some more, and reapplied sunscreen before heading back up. 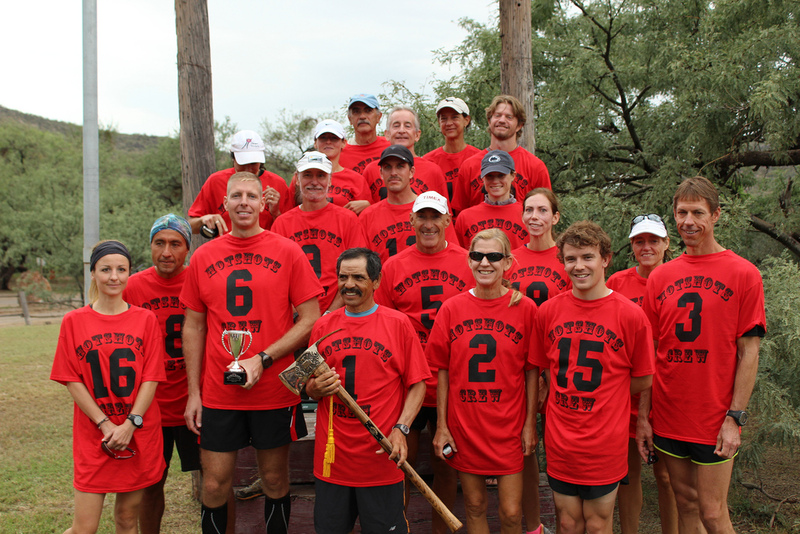 The extra seven miles made a big difference, despite a long downhill toward the end. My legs quivered as I dismounted at the Cookie Cabin. It was closed, so I had to make do with one of the energy bars that I had brought. Even at the summit, there was no escaping the heat this week. I didn’t see any Tri Girls, so I decided to head back down on my own. It had already been a very long ride. I saw a deer on the way down and got off my bike to take a picture, but a car went by and the deer leapt over the side of the mountain before I could. I also realized that I had left a water bottle at Windy Point, and thankfully it was still there on my way back. By the time I finished, my back was sore and I was stinky and starving, but still smiling.